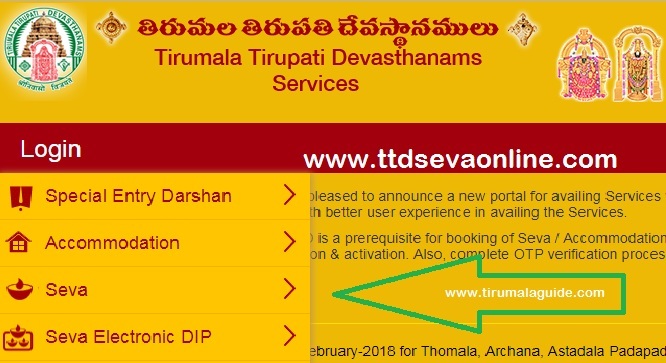 Tirumala Tirupati Devasthanams (TTD) Tirumala daily arjitha seva timings details and Online booking quota details: Sri Venkateswara temple is one of the most ancient pilgrim centres in southindia. And one of the most famous, bussiest and richest temple in India. Sri Venkateswara temple is located in ‘venkatadri’ hill which is one of the hills in seven hills. Daily archana is performed to sri lord venkateswara after the archana some arjitha sevas are get performed to the mula virat as well as to utsava murthy. After the abhishekam and chattings to god is completed then the devotees are allowed for the seva. In this we provide you the information about the seva ticket online quota and the booking process. The below are the follows. The seva will be performed daily, some are performed only on Friday of the week and some seva will perform thrice in a week. And the timings of the seva are in morning only. The below are the seva’s which are conducted to lord venkateswara and the online quota of the tickets @ ttdsevaonline.com.